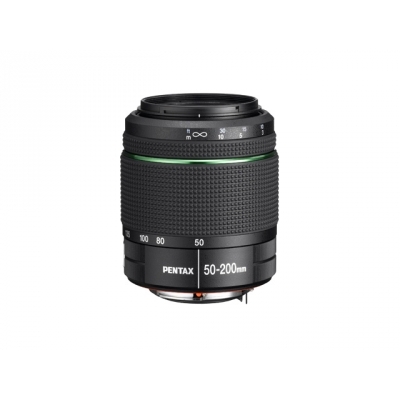 Designed for exclusive use with PENTAX KAF-mount digital SLR cameras, this lens offers 4X zoom coverage in the telephoto range. Further, the lens features an angle of view from 31.5 degrees to 8.1 degrees (equivalent in focal length from 76.5mm to 306mm in the 35mm format). The aluminium weather resistant construction protects against water and dust and the "Super Protection" lens coating repels water and dust. As with all DA-Series lenses, this DA 50mm-200mm features a responsive "Quick-Shift Focus System" that allows photographers to instantly switch the focus mode from auto to manual with a slight twist of the focus ring. Coupled with a simple, functional design and the elimination of an aperture ring, this mechanism considerably improves operability. The lens also incorporates an Extra-low Dispersion (ED) glass lens element and two aspherical lens elements for true-to-life image reproduction and overall size reduction. 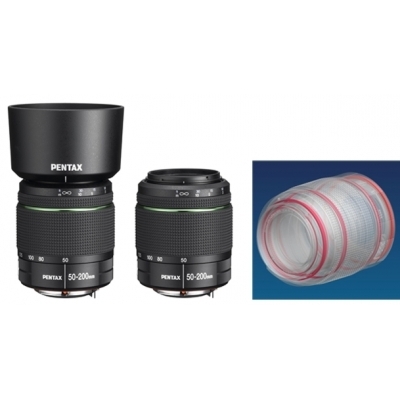 The image circle in DA-series lenses is designed to perfectly match the 23.5mm x 15.7mm size of the CCD used in PENTAX digital SLRs to optimize camera performance.